The history of rap music is the story of one of the most influential genres of music in the last part of the 20th century through the present. Although rap music in the form in which most modern listeners think of it has only existed since roughly the 1970s, its roots go back much further. Many volumes have been dedicated to tracing the early roots of rap music - which today is often referred to as hip hop music (although some consider rap to be only one segment of "hip hop"). The roots of rap can be traced back to the oral poetry tradition of Africa, particularly West Africa, that dates back centuries. Early influences for rap can also be found in the West Indies. Ska, rocksteady, reggae and early dancehall all have influenced rap musically, but vocally, the Jamaican tradition of toasting heavily inspired many rappers. Although rap music has international roots, its early days were confined to America. It did not gain international prominence until the mid-1980s. If there is one "father" of rap music, it might just be Kool Herc. The Jamaican born DJ moved to New York in 1967, bringing with him the dub music that was gaining popularity in Jamaica. Herc wanted to remain involved in music but found American audiences unreceptive to his reggae and dub records. He started dabbling with funk, soul and disco records, but because of the short percussive beats, he began using a second record along with an audio mixer to extend the beats. Fellow Jamaican immigrants added their toasting to the music - and American artists soon followed suit, adding raps over the top of the beats. During the 1970s, this music spread through block parties and house parties in New York, especially the Bronx and Brooklyn. Although Detroit techno and Washington, D.C. go-go music were experimenting with similar musical ideas, rap music was confined almost exclusively to New York until the late 1970s. 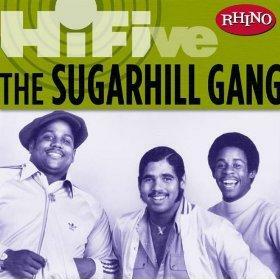 In the late 70s, two record labels - Sugar Hill and Enjoy - began to give rap music commercial releases. There is dispute over what is the first rap release, but many music historians point to the Sugarhill Gang's Rapper's Delight. Rap music underwent enormous changes in the 1980s, both in terms of style and acceptance. Although a thriving network of independent labels grew up around the genre during this decade - notably Rush - major labels began to pay attention to the growing interest in rap music. Indeed, many of the indie labels that initially distributed rap were brought about by major labels by the end of the 1980s. By the mid-1980s, groups like Run D.M.C. were receiving crossover, Top 40 radio play and major MTV spins. MTV create a new show - Yo! MTV Raps - near the end of the decade. The show would cement rap's place in popular culture and be incredibly influential in expanding the genre to new audiences. The breakdancing craze of the 1980s only served to increase the popularity of hip hop. Stylistically, rap music grew more complex in the 1980s. At the start of the decade, artists like Grandmaster Flash and Doug E. Fresh were performing relatively simple rhymes over simple beats. By the end of the 80s, artists like Public Enemy, N.W.A. and Ice-T were delivering complex lyrics, usually with a distinct social message, over increasingly developed beats. Rap music also saw some of the violence in the music play out in real life during this decade. Two of the genres biggest stars, Tupac Shakur and Notorious B.I.G. were both murdered. Neither case has been solved, but many believe their murders to be tied to the West Coats/East Coast feud in rap music. Although music critics find the golden age of rap music to have ended, the genre's popularity only grew during the early 2000s. A blurring of the line between rap influenced music and pop music drove many more traditional hip hop artists back to the indie labels that first helped the genre gain its footing in the 1980s.